CTC#64 Sale A Bration Inspiration in love with "What I love"
Welcome back to the CTC blog for this week. I am still away travelling so this is brief this week but I wanted to play along. 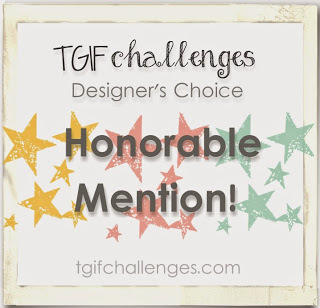 You may have arrived from Rachel's blog and if you continue around the group you will see some amazing inspiration. 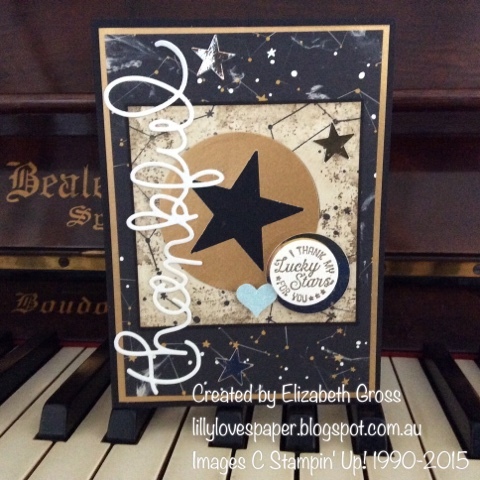 There is so much inspiration in the SAB catalogue but I was inspired by the gorgeous card alongside the What I Love set so have CASEd that. 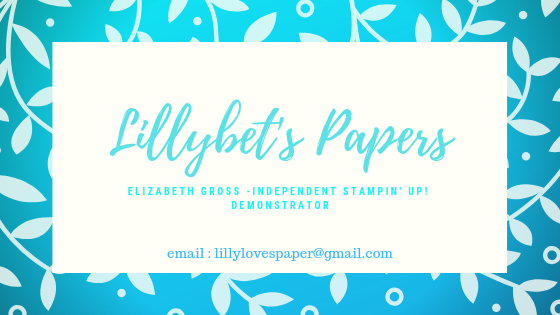 If you follow my blog (Just fill in your email details at the bar on the right side to get regular emails whenever I post something new) you will know that I do love a square card, and also that I am a big fan of Crumb Cake. For this card I used Tempting Turquoise stamped off for the 2 base images, and Pacific Point for the detail stamp, and Wild Wasabi for the leaves. Super Simple. 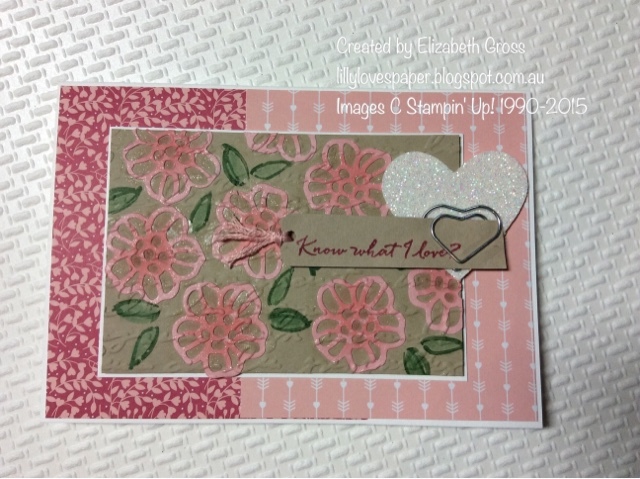 And just to show another version using a stampset you may already have I used Everything Eleanor with the same colours. You may be able to see Stella winking at you! and follow along with the Kathryn who is next. 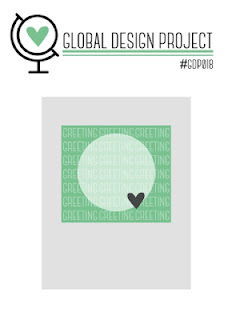 If you get lost or want a complete list of participants check out the CTC Blog here, or better still create a card and post it here. You have the whole month to participate. Just a super quick post to get this card lodged in time with FMS before I go away on a little trip. And the theme challenge from the paper players. The colours are the base of the new paper stack Love Blossoms and there are so many great papers in this stack but I settled on these two. The card central panel is made using the inlaid embossing technique, using blushing bride flowers cut with the new Rose Garden framelits, adhered to the crumb cake and then the entire panel was embossed using the now retired script folder. I added some extra sponging using a dauber for a little more depth. And of course with all things Valentine you need some sparkle. so the Wink of Stella is painted generously onto the blossoms. 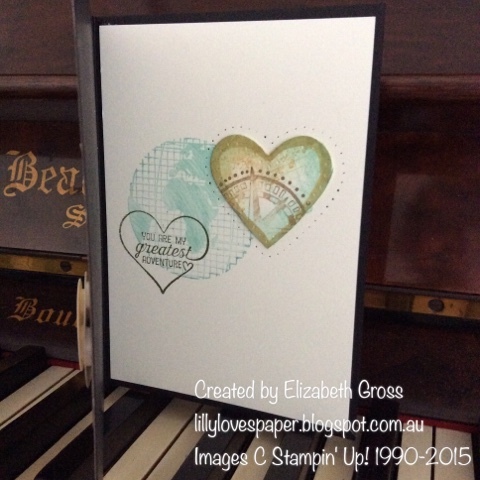 the What I love Sale a Bration set was perfect for the leaves and the valentine sentiment. 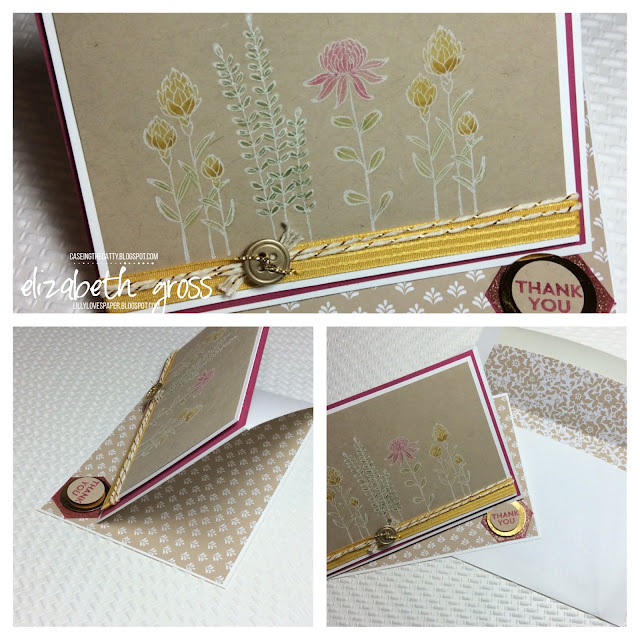 CTC62 A Sale-A Bration Favourite, well of course it's Flowering Fields! Welcome back to the CTC bloghop this week where we are each making a project inspired by the pictures in the SAB Brochure. 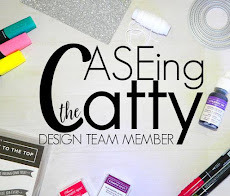 CASEing the Catty means that we can use a project, or a colour combination, a layout or a stampset as a springboard for making anything. The creative license is really endless. 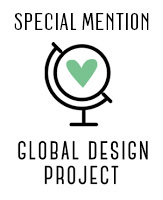 If you have been inspired by any of the projects you have seen this week, or anything in the brochure you have looked at and thought 'I must make that", then this is the bloghop for you! We have started 2016 with a new format -each month we will be hosting a challenge as well as the weekly Hop. That means you can make a card and link it up with the CTC page via the Linky HERE. 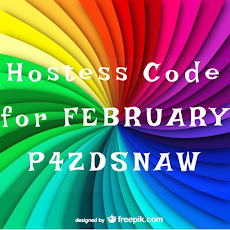 Each month we will select a winner. So you have quite a bit of time to get creative. We hope you will join in. This month its all about the new catalogues, so choose your favourite product or project and jump in. The front page of the SAB brochure has 7 projects and I fell in love with the flowering fields set so I have CASEd the card on the middle shelf. 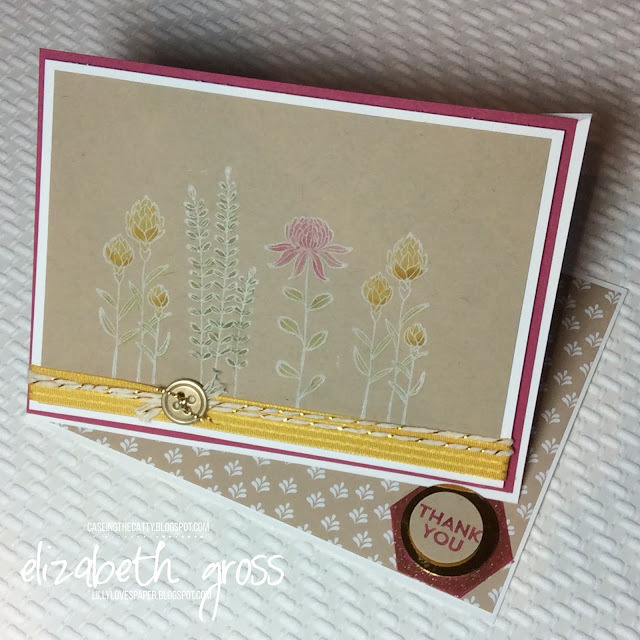 Usually I love White Embossing but I thought it might be a bit heavy for the delicate line style of this set, so I used the White Stazon for this project. I coloured in the flowers using a blender pen and various inks. 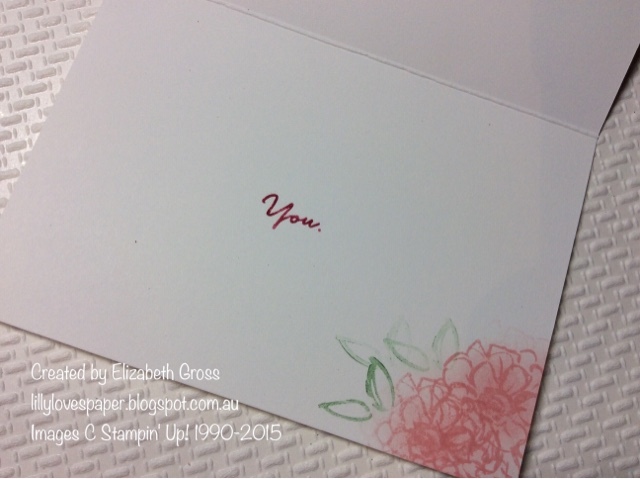 I don't use the white Stazon very often as I find it can be a bit dry and you have to reink the pad each stamping session. As a result I tend to stamp a lot of pieces when I have it out and juicy. 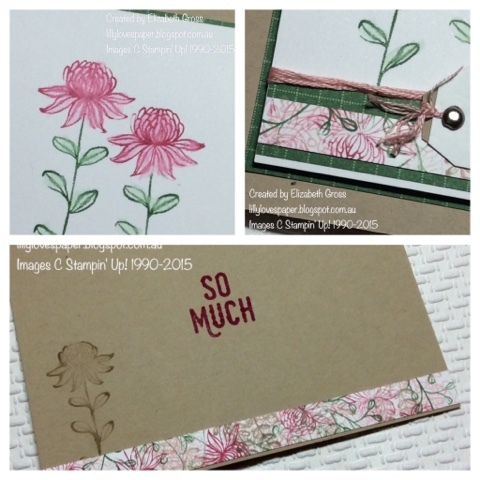 Next on the hop is Julia - also from Sunny Qld like me, with a sunny card using the same Wildflower stampset to inspire you. 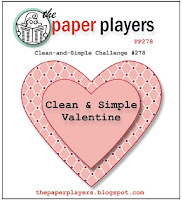 thanks for looking, don't forget to make a card for the challenge and link up to the CTC Page. TCTC#1 and FMS#218 perfect plum roses! 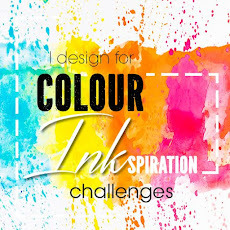 Well it's a pleasure to be part of a new Colour Challenge created by the very talented Bronwyn Eastley who is also the founder of the CASEing the Catty Bloghop. I love this colour combo, but I'm sorry Bronwyn I just had to add some green!! 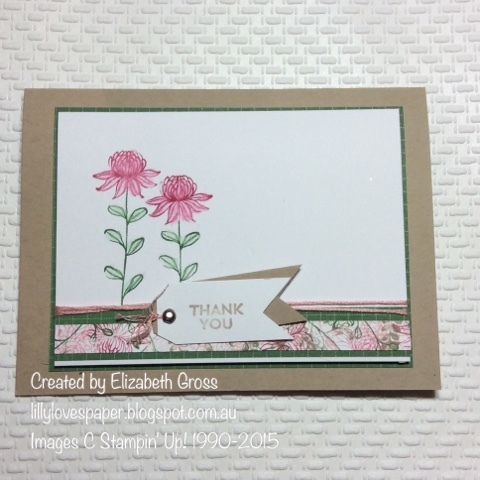 I combined it with the sketch at Freshly Made Sketches for a fun card using one of my new toys - the Rose garden Framelits. 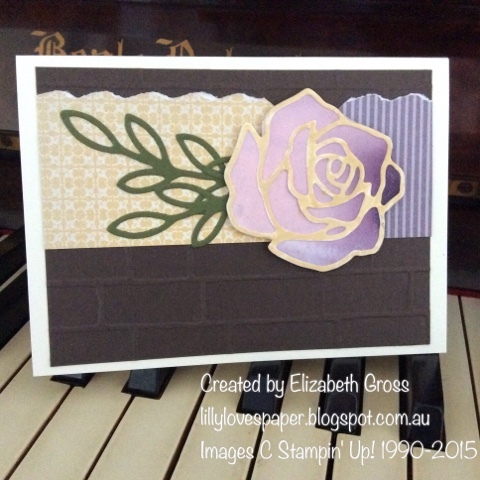 So as it happens I didn't get finished in time for the FMS challenge, and worse I LOST my rose framelit in the course of making this card!!!! Now I don't know what state your craft room gets into when you are creating, but mine could be described as chaos occasionally. I'm sure you can imagine the distress when you lose something like I did when it's in that state.. I couldn't move forward until I had searched everywhere (and most folders of paper scraps we're sifted through twice) . I moved the desk, I went through every packet of framelits thinking I had put it in the wrong envelope.....etc etc sifted through the scrap bin and gave up that it was gone. So I finished the card late! I was happy with the card but dismayed about the Rose. Anyway, I am happy to report that on the third lap of the room I found it! I cut the Rose framelits and placed the cut piece over the panel I had watercoloured, traced around it with a pencil then cut out the solid shape. The fine tip glue pen was terrific, and I'm not sure you can see it but the Wink of Stella gives a lovely finish. how did I last so long without it? And of course I have to decorate the inside! The label shape from the set is just beautiful. I have been preparing cars for my catalogue launch party this weekend . 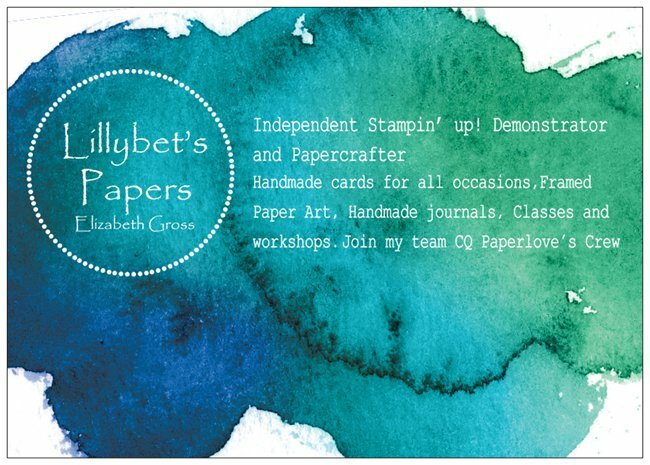 The Going Global suite is so easy to use I love all the papers and the stamps. 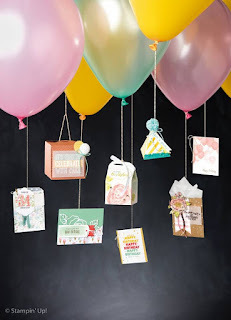 they are especially good for masculone cards, andI also have quite a few very special birthday cards to make in January so it's a good excuse to play with my new toys. By chance my last GDP entry was using these papers too. This week it's a sketch challenge which I really like. I love the rustic look and was really pleased to find that the Timeless Textures set has great stamps for adding -well- texture!!! I used one of the stamps all around the edge and then only needed to sponge lightly to smooth it out. Brilliant! I'm sure I will use this set a lot too. and this card was for my husband for his birthday so the inside was a bit special too. 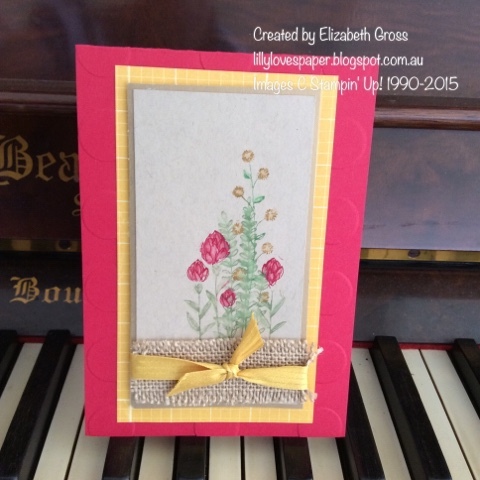 Flowering Fields, a new favourite! 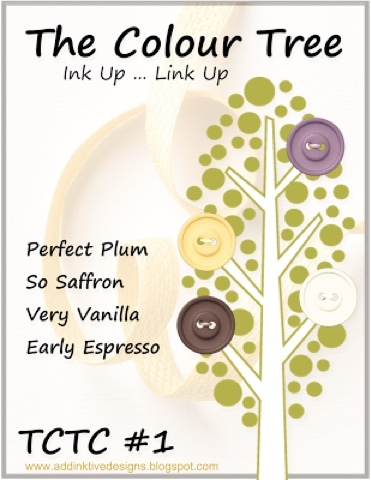 Just a quick hint at some of the cards I'll be showing at my Catalogue Launch this Saturday. Flowering Fields us available in the Sale A Bration special until March. I think you need a set! Message me if you would like to coma along and have a play! 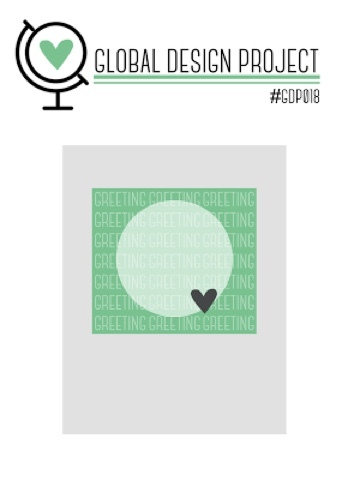 I'm so glad GDP is back online, the challenges are great and the inspiration team are all amazing. and a Colour Challenge is always a great way to start the year. The beautiful set Flowering Fields is one of the fabulous sets available during Sale-A Bration. It's available free with every $90 product order. 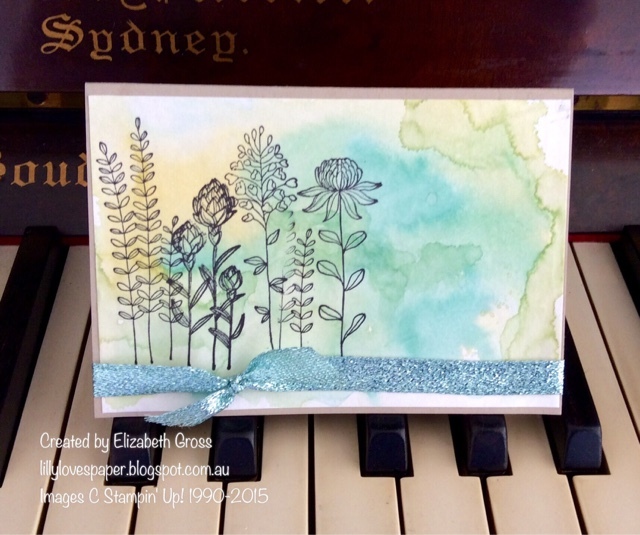 I love it because the wildflowers have an Australian look to them with a Waratah and Wattle images. 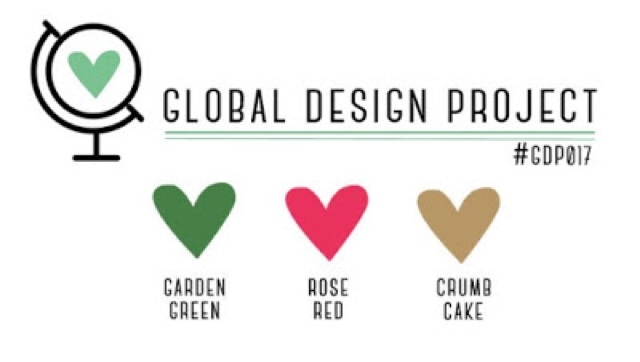 This colour challenge however doesn't use a rich red or a yellow so I was happy to play along with the pink tones. 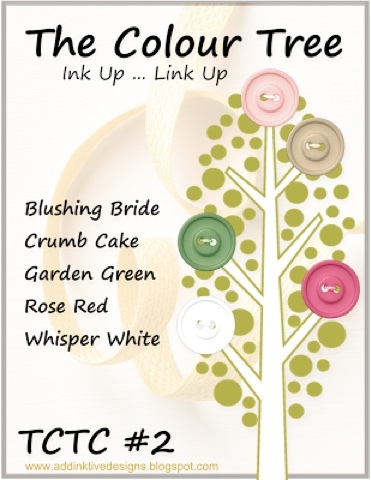 I was also able to use another Sale-A Bration set for the sentiment, Perfect Pairings. 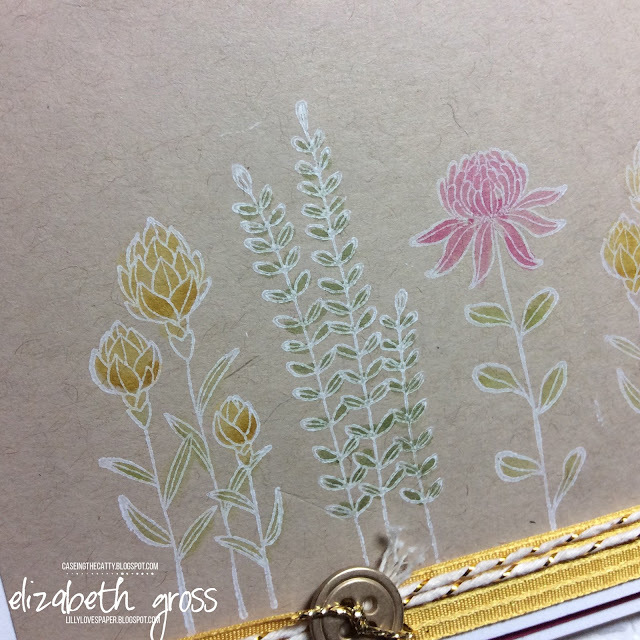 The flowering fields set is also great for collage stamping which I did on a strip of whisper white to create a highlight strip. This is a great option when you don't have and DSP in your colour tones. 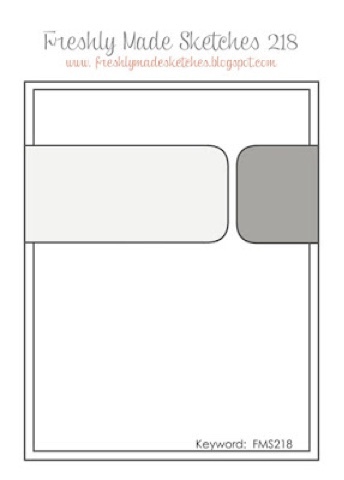 or you want some pattern which relates to your focal image. I will have more cards to show this technique in a future post, and in a class coming up soon. WELCOME BACK! 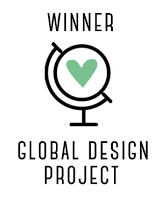 You may have arrived here from the talented Tricia Ranieri who has done such a great job recreating one of the Global Design projects. I hope you have had a wonderful Christmas Break and that you were able to find some time to be creative! 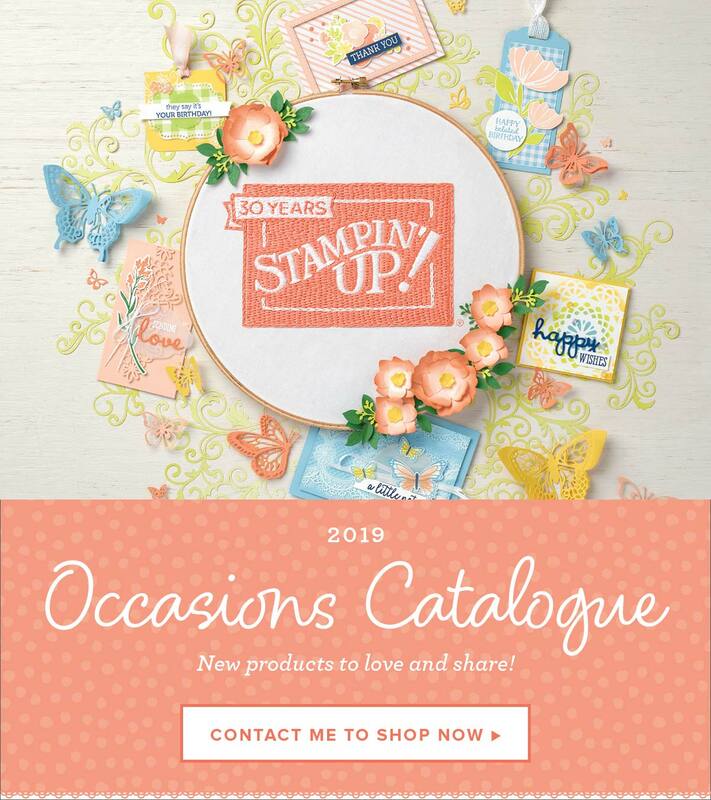 It's nice to start the new year with fresh ideas - and what better place to look for inspiration than the NEW Occasions Catalogue! 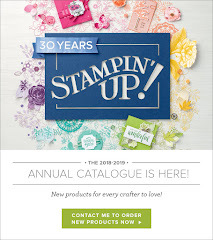 It's always an exciting time of year for Stampin' Up! as not only is there a new set of gorgeous products available, but the Sale-A Bration promotion over the next few months means that there are product bonuses when you order. 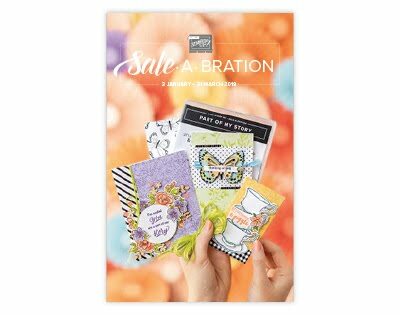 For every $90 you spend you can choose a free product from the Sale-A Bration Lineup. 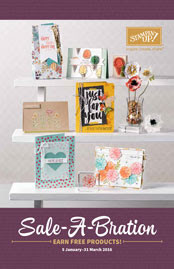 There are stamp sets, Designer Series Paper, Vellum papers, and Project Life sets to choose from. It's a great time to stock up on your card making or scrapbooking essentials. Let me know if you would like a catalogue! Anyhoo. This week we are CASEing our Favourite project form the new Catalogue. That was hard as I don't yet have the stamp set for my favourite project but I will get to that in a few weeks. Meanwhile I have chosen the card on page 37. 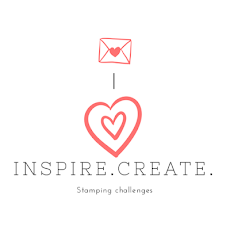 I don't have that stampset yet either but I thought I would show you how you can modify an inspiration picture and use what you already have. The Striped Scallops Thinlits always looks fabulous, especially when it is tone on tone. So I have used white on white for the first sample, and the flower is from one of the new Sale-A Bration sets called What I Love. 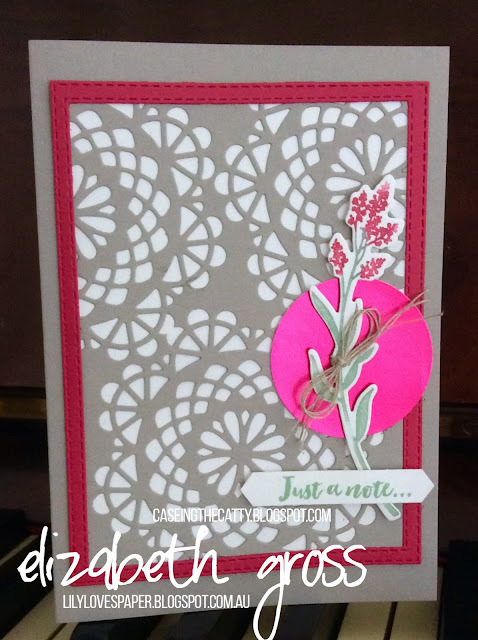 The flower is a beautiful 3 step stamp and I used Calypso Coral for the first two layers of the flower and Watermelon Wonder for the top layer. The leaves are done in Wild Wasabi, and the backdrop is also Wild Wasabi using Gorgeous Grunge. 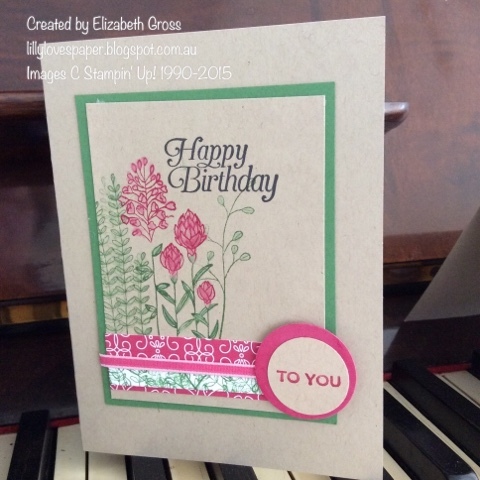 However for the Second Sample I used the new DSP Birthday Bouquets to cut the striped scallops, and also for the focal image. One of the designs is covered with large Peonies (you can see a good sample on page 23) so I fussy cut one out. I also added a bit of dimension using the stylus from my scoring tool. For the Background on this one I used another new set - Timeless Textures - which you are going to love, in Mint Macaron and Silver Embossing Powder. You may be also able to see a little Wink of Stella on here. The sentiment is from Endless Birthday Wishes. Team member. I always love to see what she creates each week. Thanks for stopping by. 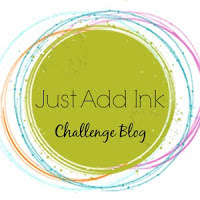 Be sure and Check out the rest of the Blog at CTC. If you get lost you can find the full list for the week here. Sneak Peak from Sale-A Bration 2016 "What I Love"
Well its' almost time for the New Catalogue to go live and this is my last Sneak Peak for you. 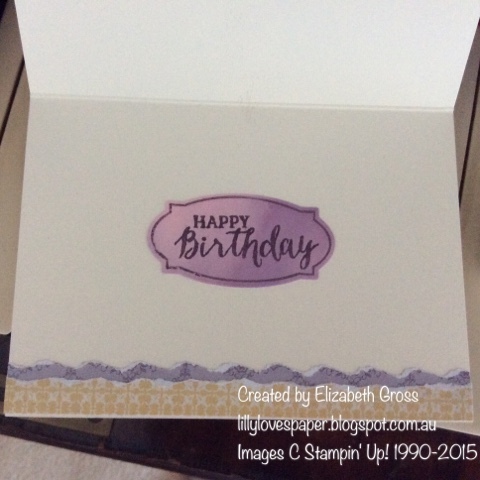 It's a simple card using one of the Sale-A Bration sets called "What I Love" and it's a 3 step stamp, with a gorgeous simple font. Calypso Coral on Crumb Cake with Mossy Meadow background paper from Going Places Suite. That little bit of Shimmer is from the Wink of Stella pen- your' going to love this one! 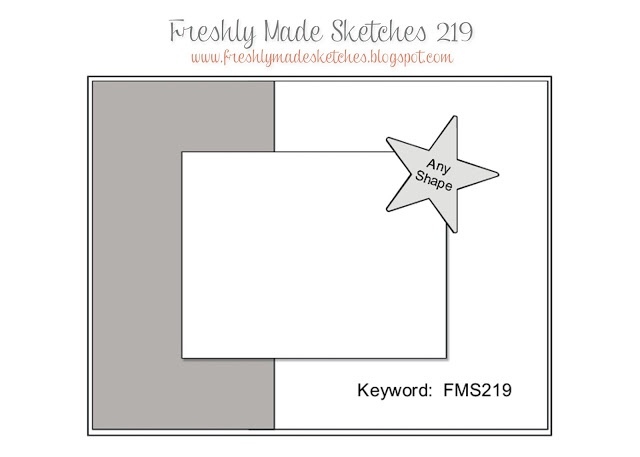 Simple and quick, a great little layout which is easy to mass produce.